With all of this talking about collaboration, I cannot ignore the obsessive component of my partnership/friendship/collaborative-inspirational-situation with my girl LJ. We both dive into things head-first, and often get super duper obsessed with things. There was the Pyrex-amassment-project of 2014-2015. The can’t-get-enough-pens-planners-and-stationary-supplies-enterprise of 2016-17. 2018 will go down in HerStory as the year of make-up. 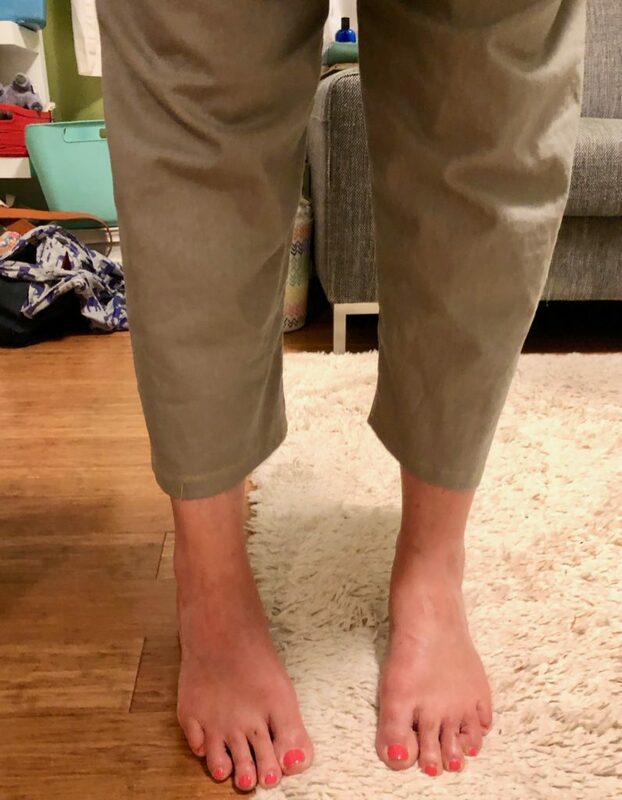 2018 is also quickly becoming the Year of the Vintage Sewing Machine, and the Year of the Pants. It’s this last obsession that I’m talking about today, because it’s been the most fun and fashionable lately. Lorajean and I have done the Dress No. 1 thing. We’ve done the Shirt No. 1 thing. So it was really only a matter of time until we dived right in to the Pants No. 1 thing. A month or so ago, we were doing one of our favorite things: spending the whole day together, running errands and squeezing in lots of meeting time (we have lots to talk about always, and lots of times, it’s actually work-related, because we work together a LOT, on a LOT of different things). 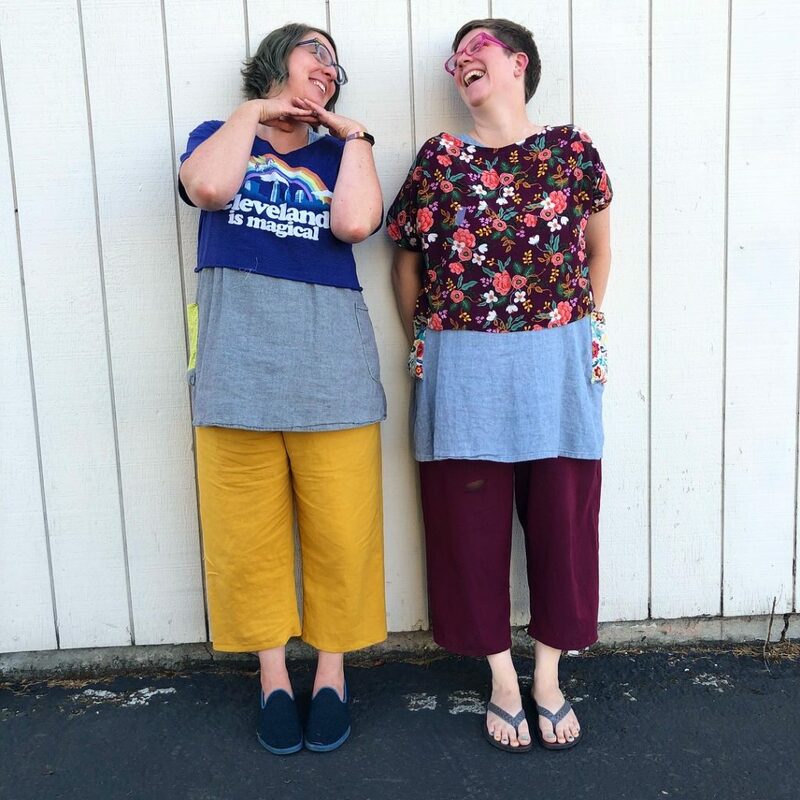 We ended up at Bolt, and found some same-same-but-different fabric, and decided it was time to tackle the pants we had been wanting to make for so long. 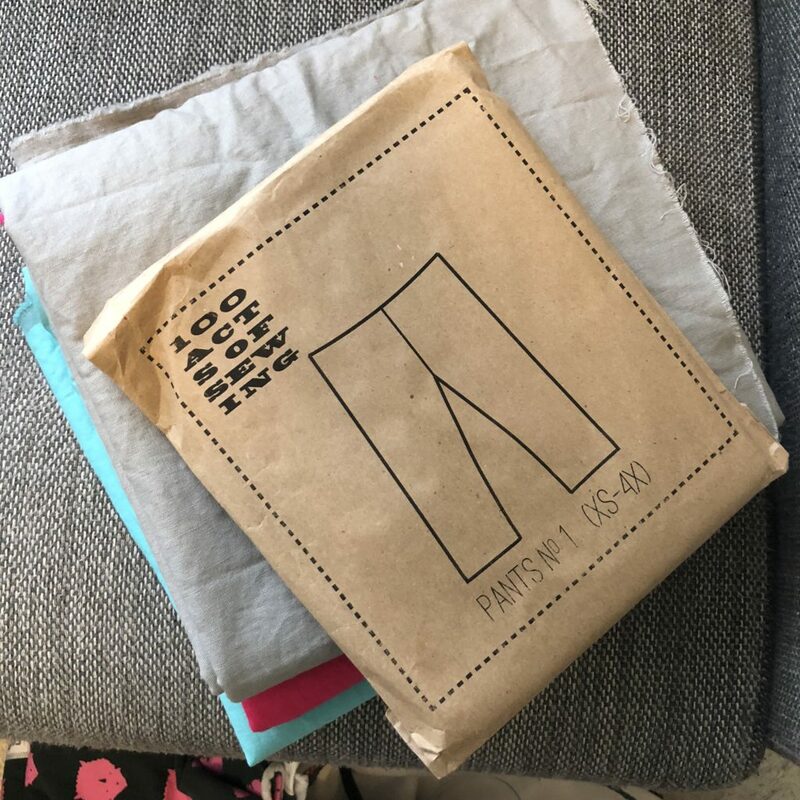 The next day, I headed out to her studio, we cut our pants out, and performed the most beautiful dance between one sewing machine, one serger, and one iron. At the end of a couple of hours, we both had a pair of pants AND an obsession with making them. Over the next week or so, we got together at the studio quite a few more times, and made a few more pairs of pants. As an example of just how obsessed we get, at the beginning of October, we were hosting an Open Studio. I came early to help set up, and of course I brought my sewing machine and fabric. We busted through the studio set up and both sat down at our sewing machines, because PANTS. 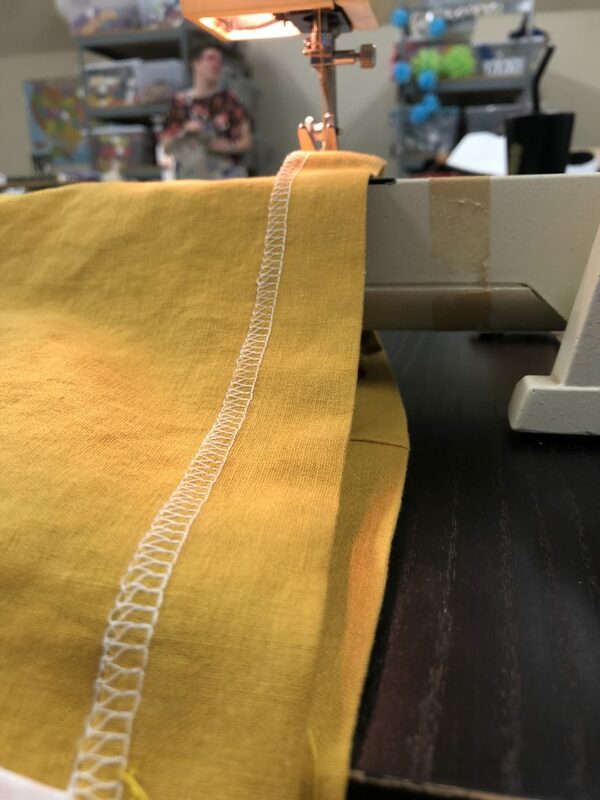 We were so intent on finishing our pants, in fact, that we refused to set aside our sewing machines until about 5 minutes before Open Studio was to begin. We even joked around about trying to send out a quick email telling everyone to come an hour later, so we could finish our PANTS. So, that’s our fabulous obsessiveness in a nutshell: when the both of us get our crafty talons in something, we can’t let go until it’s been flushed naturally. For some things, it’s when we realize that we’ve finally found the perfect pen-planner combo. For other things, it’s when our closets are busting at the seams with handmade dresses. And for pants, I’m not quite sure when we’ll tire ourselves out on this new obsession. I have 4 pairs of me-made pants, and want so many more. 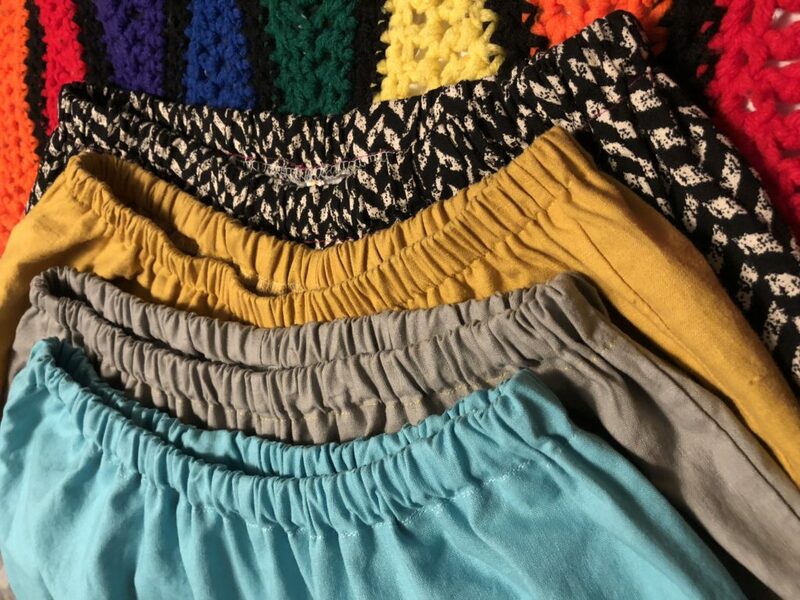 LJ has finished 7 pairs, and has fabric for at least a handful more all lined up. Are you the kind of person who gets obsessed? If so, what are you most favorite obsessions? Share in the comments below!